All our Current Offers, Discount and Clearance products. Check out these offers for a saving on your motorcycle parts and service items. 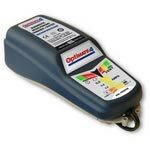 Optimate 4 Dual Program 12 volt Battery Charger. ONLY £64.99 with FREE DELIVERY and FREE EXTRA SAE71 Weatherproof Fused Eyelet Permanent Connection Lead worth £8.99.